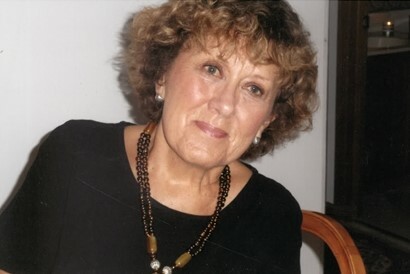 Judith “Judie” Ellen (Hultman) McAndrews passed away on Monday, January 14th, 2019 from the effects of myelofibrosis. She was 77 years old. A beloved mother and friend, the long-time Pleasant Prairie resident was born to the late Ella and Charles Hultman on July 23, 1941 in Chicago, Illinois, the eldest of five daughters. After graduating from Bob Jones University, she set her sights on international adventure, joined the army and spent two years stationed at Esslingen am Neckar army base in Stuttgart, Germany, where she taught third grade. Upon returning to the States, Judie obtained a Master’s degree from the University of Illinois-Urbana and began educating educators, first at Northeastern Illinois University and then, North Central College. With a conviction rooted in the gospel of generosity and a heart to serve those needing extra help and protection, Judie held a volunteer leadership position tutoring on Chicago’s near north side, founded Kenosha’s first crisis pregnancy center and welcomed a family of Laotian refugees escaping communism. Her greatest joy in life was being a full-time mother, a role she took on with gusto while pursuing a home-based business, Leafprints, a creative combination of her lifelong passion for painting and appreciation for nature’s details. She eventually returned to teaching full-time, working within the Kenosha Unified School District where she served as a reading specialist and elementary school teacher. Throughout her life, Judie maintained an enduring love for her family’s “up north” cabin getaway and was rarely happier than being up “at the lake” with a blueberry pie on the counter, swimsuit drying on the line and watercolor paintbrush in hand. A voracious reader and consummate bibliophile, Judie loved putting her love of words to work in frequent and faithful written correspondence, poems and competitive Scrabble matches. She is preceded in death by her sister Sharyn Hultman of St. Paul, Minn. and leaves behind two children, David McAndrews of Chicago, Ill. and Meghan McAndrews (Curan Folsom) of Minneapolis, Minn.; her beloved grandson, Curan Folsom Jr.; sisters and brothers-in-law Cheryl & Bernard Powell, Cyndi Evans and Beth & Robert McRoberts; a number of cherished nieces and nephews and a host of devoted friends. Family and friends will honor Judie with a service at Kemper Chapel, 6501 Third Avenue, on Thursday, January 31st at 11:30 a.m. followed by a remembrance of life at 12:15 p.m. at Ambrose Hall. In lieu of flowers, memorial donations may be made to the MPN Research Foundation; Attn. William Crowley; 180 N. Michigan Ave., Suite 1870; Chicago, IL 60601 (mpnresearchfoundation.org). Our deepest condolences to the family of Judith McAndrews. We had the privilege of caring for Judith in our outpatient department. We enjoyed deep intimate conversations, from books, children, travel, to our favorite comfort foods. Judith loved her family and was so excited to become a grandmother. I personally would like to say that she was one of the most unique and engaging patients I had the pleasure to know. I hope your family can find comfort in knowing that she is now at peace. I had the privilege to teacher in the classroom next to Judie at Prairie Lane School. We shared a love of art and teaching reading, and had many conversations about going Up North! As a teacher of the deaf and hard of hearing I was always searching for a better way to teach reading to my students. Judie was a wealth of knowledge and always willing to share. I send my deepest condolences to Judie’s family. She has left a positive mark on this world.